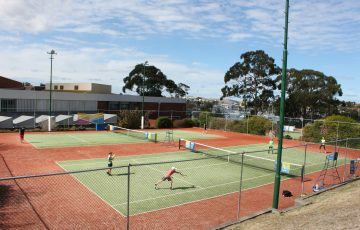 The Cygnet Tennis Club has officially opened its four brand new synthetic tennis courts. 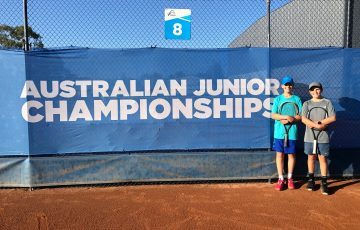 Among the 80 guests in attendance were Deputy Premier Lara Giddings, Huon Valley Mayor Robert Armstrong and Tennis Tasmania General Manager Michael Roberts. Work to replace the original clay courts was planned to be completed by September 2009 but wet winter weather delayed construction. The courts are now playable and have already had a huge effect on the club. The redevelopment has cost in excess of $200,000 due to the delays. The Huon Valley Council contributed nearly $40,000 to the work to go along with the $80,000 grant that the club received through Sport and Recreation Tasmania major grant funding. In her speech on Sunday Deputy Premier Lara Giddings pledged $15,000 to cover the remainder of the costs if the Labor Government is re-elected. Two of the remaining four Clay Courts are planned to be resurfaced with synthetic grass later this year. The change to a synthetic surface has also reduce the clubs maintenance costs as clay courts can be expensive to maintain compared to the low maintenance synthetic grass. Also at Cygnet on Sunday, the Cygnet Tennis Club inducted a new life member. Local Malcolm Thomas was made a life member for his years of great work and commitment to the club. 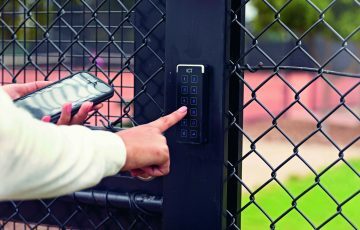 If your club is looking to upgrade any parts of the facility Tennis Tasmania may be able to assist with the planning and grant applications. Contact Alex Jago on [email protected] or call 6108 8201.